In addition to the multiple sightseeing stops, this tour includes lunch in a traditional, 14th-century pub. Transport by air-conditioned coach. Also Free Wi-Fi available. After pickup from the central London meeting point, travel by air-conditioned coach to your first stop, Windsor. Here, you’ll either visit Windsor Castle or go on a walking tour of the city, depending on your tour option chosen. Afterward, continue by coach bus to Stonehenge. 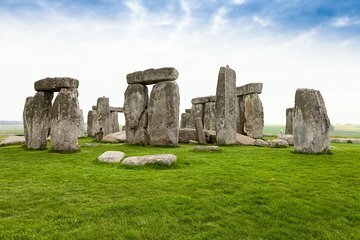 Admire England’s countryside as you travel to Salisbury Plain, the home of this UNESCO-listed stone circle, whose origins stretch back 4,500 years. Marvel at the prehistoric edifice, now generally thought to have been a temple aligned to the movements of the sun. Gaze at the stones, ponder how they were transported here and explore the cutting-edge visitor center to see the archaeological and virtual displays. Next, continue to the picture-postcard village of Lacock, one of England’s prettiest spots. The 13th-century village has starred in period TV drama adaptations such as Jane Austen's Pride and Prejudice, as well as movies such as Harry Potter and the Philosopher's Stone. Head inside The George Inn, a welcoming, 14th-century pub, and savor a delicious, traditional English lunch. On rare occasions, when the inn is shut, you will visit a similar, nearby pub for your meal. Duly refreshed, venture onward to the handsome Georgian city of Bath, once home to Jane Austen, the beloved,18th-century novelist. Enjoy a panoramic coach tour of the honey-stoned architecture, admiring top Bath attractions such as the sublime Royal Crescent and Pulteney Bridge on route. Then, take a short guided stroll past the famous Roman Baths and impressive Bath Abbey. Delve into the cobblestone streets, browse for souvenirs and take snapshots of the lovely 18th-century buildings. Your tour then concludes with drop-off in central London. Please note: The order of the visit may change and lunch may be replaced by supper. The order of the visit may change and lunch may be replaced by supper. Check-in starts 15 mins before the departure time stated. Please listen to an announcement for Tour no.79. Could not have asked for better hosts..You can certainly tell that Tony and Leon have done this before. Leon was engaging, articulate and extremely knowledgeable. I would certainly recommend this tour. The trip is very well organized, the guide was a real professional. You have to be realistic, this is packing way too much sightseeing into a single day. But if you're like me and only had a single day available to see the highlights, this is the tour for you.Lucy and Steve (guide and driver) were super awesome, very educational and entertaining all at the same time. They had the logistics down perfectly and kept us pretty close on schedule, never easy to do with a really large group of people.I'd definitely do this tour again down the road if my wife is interested in traveling with me next time. This was so much fun! Steve M. Our tour guide and Joe our driver did a fabulous job. I would totally do rhis again!! This tour was so thorough and well-timed to do everything in just the right amount time. The tour guide Eugene was well knowledgeable of every stop along the way and so entertaining as well. I can’t wait to book with this company again. If you get Eugene for a tour guide you are in for a treat! I personally could have passed on Stonehenge which I thought going in (full disclosure) but the rest of the sites and excursion 150% made it still worth it. Our trip was wonderful with great Guide, who explained everything about the histories starts from great great grand father and mother till how to go toilet finally ha ha. 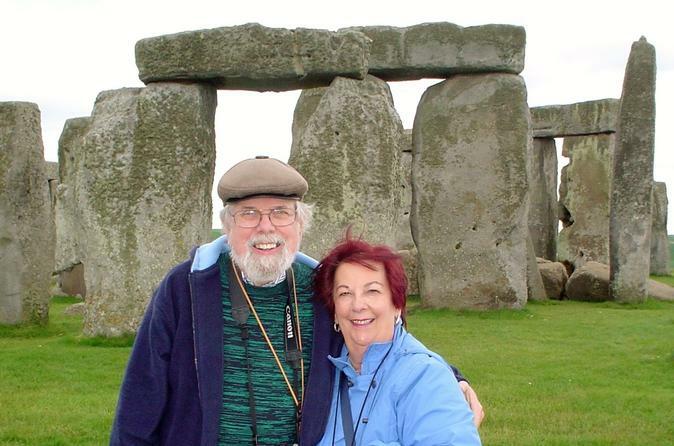 Stonehenge is strange, but too windy and not huge. Windsor is great and loved our Lacock lunch. The only downside is that you have very limited time on each site. There's a lot to see but time goes by very quickly. We had a great time on this trip. It was a very interesting tour and our guide and driver were fantastic.This tour was perfect for us who only had a day left to visit these four places. If you want to see any of these places more detailed, you may need something different. Good tour for the money!